Addis Jemari believes that economic problems are one of the major causes for family breakdown. Children and youth living in destitute families are the most affected in the process. As a result, this program aims to help alleviate this complex and multi-dimensional problem of family destitution, which leads to child vulnerability and poverty orphans. 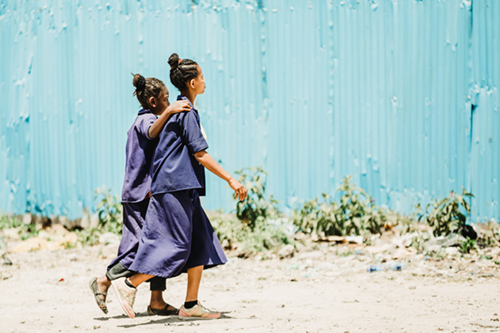 Addis Jemari works with 50 impoverished families in the sub-city called Akaki-kality, located on the outskirts of Addis Ababa, the Capital of Ethiopia. 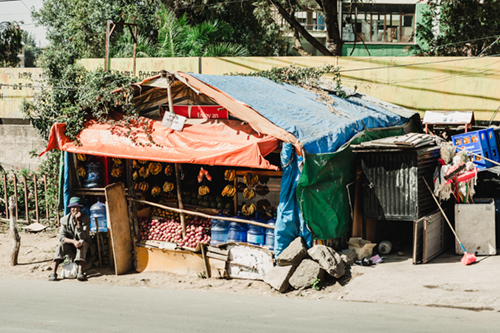 Roughly 200,000 people live in the sub-city and a majority of the families’ incomes in the area are hand to mouth, meaning their earnings cover only daily food. A majority of the inhabitants of Akaki-kality earn below 1 USD a day, 50% less than the national average income. It is estimated that there are tens of thousands of orphaned or vulnerable children (OVCs) living in the sub-city. Addis Jemari assesses each family’s individual needs, in order to help the family rise up and create a sustainable future for each of its members. Addis Jemari’s five core values (education, discipleship, financial literacy, life skills and community involvement) are incorporated into the relationship built with each of the families. Addis Jemari provides family support in the following areas: monthly financial support, life skills training, medical assistance, nutritional support, financial literacy training, counseling services and educational support. Many families break down due to financial problems and lack of knowledge in sustainable solutions. We want to prevent that from happening by offering a program that encourages, educates and empowers our families and allows them to stay together in a family unit.